Wooster Geologists » Blog Archive » Trilobites! Now it’s a field trip. Trilobites! Now it’s a field trip. Just kidding about the trilobite requirement for a true field trip, but we must acknowledge a certain charm that comes only from these spiny little beasts. Thanks to my buddy Matthew James, we were directed to an especially fossiliferous set of outcrops of the Carrara Formation in the Nopah Range. 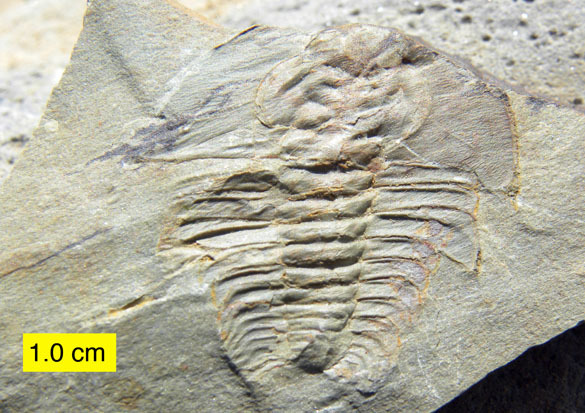 The trilobites we collected there are Early Cambrian, roughly 540 million years old. Nick Fedorchuk found the whole specimen photographed above. Everyone collected cephala (“heads”) and the occasional brachiopod and hyolith. It was a very good afternoon for paleontologists! 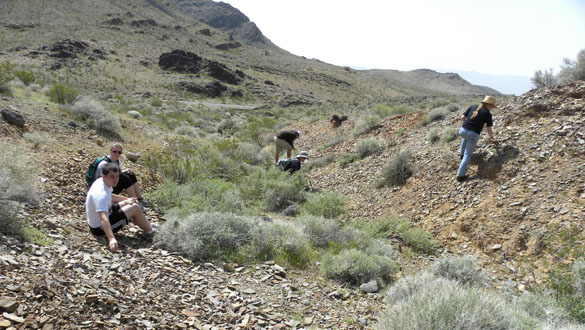 Wooster students at work in what we now call "Trilobite Valley". Travis Louvain finding good specimens. The trilobites here are strained by tectonism, so they look "stretched" in one direction. Shelley Judge collected a set to use in her structural geology labs. Also at Emigrant Pass are nice stromatolites (a little higher in the Carrara Formation) and impressive Skolithos piperock with Rusophycus-bearing intervals. (A shameless plug for one of my favorite research localities….) 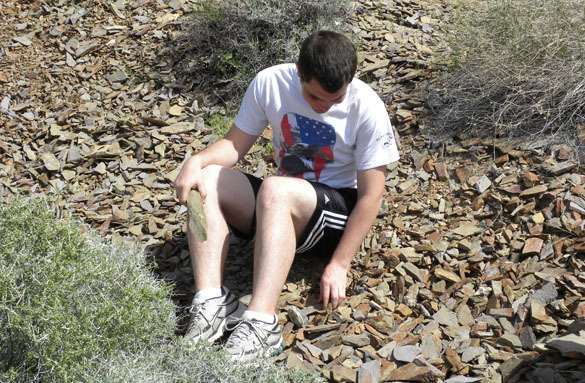 I agree, though – finding trilobites makes it a field trip! I would love to have had you there with us, Katherine! I thought of you when we saw the trace fossils.